Out of all of the types of eCommerce businesses that you can start, dropshipping remains one of the easiest and lowest-cost online business models. If you are just getting started, it can seem a bit overwhelming. 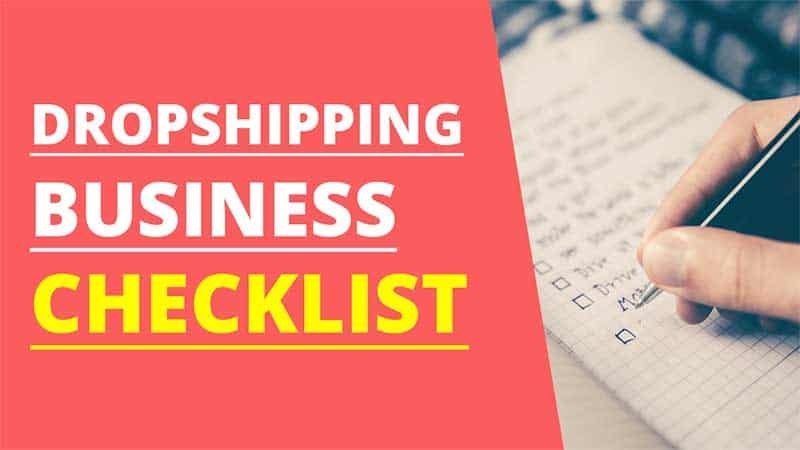 I’ve created this checklist to start a dropshipping business to help anyone who wants to get their own business up and running in the most cost-efficient way possible. My goal with this checklist is to make it simple for you to start and to do so with some of the best software possible. 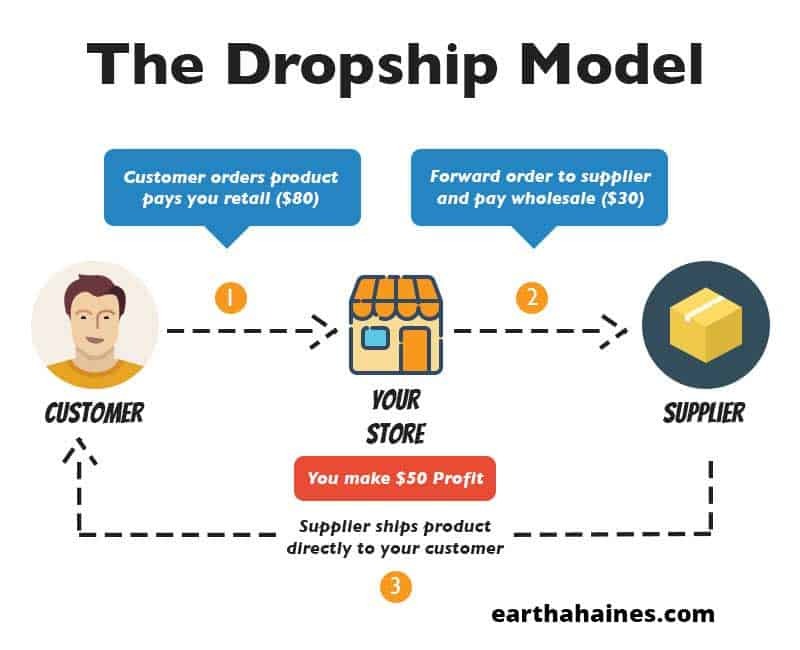 Before getting started, it is a good idea to understand how dropshipping works. You likely already have a general idea. It is really a simple business model. You find companies that dropship their products, create accounts with them and add their products to your online store. Your supplier charges you one price and you charge another to your customers. The difference in price when the item sells is your profit. As a dropshipper, you do not have to handle the products at all. They are shipped directly from your dropshipping supplier to your customer. Keep in mind that not all dropshipping suppliers work alike. Some do not allow you to dropship certain brand names. While others do not really offer low enough pricing to be profitable. There may even be some suppliers that charge a registration fee or a monthly fee to be an active dropshipper with their company. While it seems like having a variety of dropshipping suppliers is helpful, it can be a lot to juggle if they all have different terms and requirements. 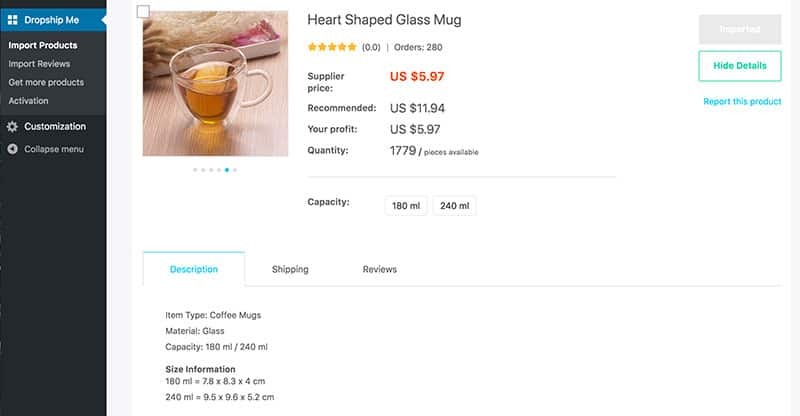 This is why AliExpress.com is one of the more popular options for sourcing products. There are no registration fees, no limit on the number of products you can sell, there are millions of products to choose from, low pricing, and no limits on your profit margins. Even better, many products have free shipping, there are some U.S. suppliers, and a majority of suppliers are accustomed to working with dropshippers. So much so that they often do not send any marketing material in their packages. You can also search for dropshipping suppliers online or by using a wholesale directory. The next step to opening your own dropshipping business is to figure out the niche that you want to be in. A niche is simply a group of people talking about the same thing. Need ideas for niches? Check out a magazine stand at your local bookstore. You’ll come across all types of niches such as travel, photography, cooking, health & fitness, personal finance, and more. Here is a post I wrote previously about various dropshipping business opportunities. Another helpful tool for figuring out your store’s niche is the AliDropship niche tool. Once you have your niche figured out, it becomes easier to choose a name for your store’s URL. You can register your domain name at any domain registrar of your choice. I buy all of my domains using NameCheap. There is no special reason besides that I’ve used them for years without issue. Some web hosting providers will register domains and some will do so for free when you sign up on a yearly plan. Dreamhost is one such web host. There are many different types of dropshipping platforms to choose from. However, for the purpose of saving time and because I use this particular software myself, I am recommending the AliDropship plugin. Unlike other eCommerce platforms that charge a recurring monthly fee to use their platform, AliDropship is a WordPress plugin that you only pay for one time. That means you save hundreds of dollars per year in subscription fees which can be put towards your marketing efforts. I have come across other dropshipping software that is limited in the support they provide. One service charged a fee for extended software support. This isn’t the case with AliDropship. Once you buy the plugin you also receive lifelong software updates and customer support. You can learn more about AliDropship and order the plugin here. Don’t worry if all of that sounds foreign to you. Most major web hosting providers (HostGator, BlueHost, SiteGround) have those requirements already. I use SiteGround hosting and had no problem with customer support when I needed them to activate ionCube on my account. They did it within a few minutes and I as all set. If you want to bypass figuring out which web hosting provider to use, you also have the option of hosting your store using AliDropship’s web hosting. Their hosting is already perfectly configured for the plugin. They also have very affordable pricing starting at $48 per year and includes free SSL. If you buy the AliDropship plugin and add a year of hosting, they will also install WordPress and the plugin for you. Don’t let this step intimidate you if you have no technical experience. Most major web hosting providers have one-click WordPress installation on their platforms. All you have to do is find the one-click software installation in your web hosting admin panel, locate WordPress, follow a few prompts, and your website is installed. It should look similar on most web hosting web panels. Installing WordPress plugins is really easy to do. Once you install the plugin, you will need to input your license key and you can begin building out your store. This step is completely optional but once you discover what DropshipMe is, I have no doubt that you will want to use it. While the AliDropship plugin creates and automates your dropshipping business, the DropshipMe plugin handles finding the best products for your store. DropshipMe was also created by the AliDropship team. They have manually selected over 50,000 of the best selling products on AliExpress. They have also edited the titles, descriptions, and product images for you. All you have to do is click the import button and the items are automatically imported into your store. What is even better is that the DropshipMe plugin is free to use for the first 50 product imports. They have an option to upgrade for a one-time fee as well. I hope this checklist has been helpful thus far. Building your own dropshipping business isn’t difficult and using WordPress with the AliDropship plugin makes it cost-efficient. However, there is another option to getting your own dropshipping business up and running that saves a lot of time and hassle. AliDropship is not only a dropshipping store plugin, but the company also provides a turnkey custom dropshipping store service. There are three packages to choose from. Regardless of which package that you choose, it includes your own personal manager that handles all of the details of your store’s buildout. Unlike other custom store services that will deliver your store in 24 to 48 hours, your store is a truly custom built store which takes anywhere from 10 to 23 business days to complete. You can view all custom store packages (starting at $299) here. I hope this checklist (guide) has been helpful in showing you another alternative to creating your own dropshipping store. Regardless of which platform that you choose, I wish you much success in your online business! First of all, Thank you for the wonderful articles. Insightful & loaded with useful information especially on the topic of dropshipping. Not to mention your great youtube channel! I am in the process of setting up my online store, relying on Alidropship Woo and Dropshipme plug-ins too.. My main concern (for a long time now), if I may ask you, and I wished if you had the time to address it here in the above article, is how to set up the suitable payment gateway for the potential web store. I know this topic might sound easy for some people as Paypal, Stripe, 2Checkout and many other gateways are present, however I’m bringing up this issue trying to find out a solution for myself in regards to Lebanon as a country for example, where those aforementioned giants still do not support my country yet. In your expertise, what should I do ?? Thank you for your kind words. You have brought up an excellent question. At the moment, I do not know of a solution but I am going to do some research and figure out what the options are for dropshippers in your situation. Once I find out some answers, I will post back on this comment or possibly write a blog post about it. Thanks so much for visiting the blog and posting your comment!